Moringa Oleifera is a large tree that grows in subtropical areas in the North India. It is also called magician plant, drumstick tree, horseradish plant, and Shigru in Hindi. It belongs to moringaceae family and moringa genus. It is fast growing tree. It can grow on any kind of soil and requires very less water. Fruit, seeds and leaves all can be used for eating. Only roots are avoided because it contains a neuro-paralytic toxin. It has long drumstick like fruit, which is green in color. Its leaves are high in protein content unlike other plants. It is an evergreen deciduous tree. It contains almost all vitamins found in fruits and vegetables. It is helpful in around 300 diseases. It has large number of health benefits and highly respected as a medicinal plant. Moringa Oleifera has been used traditionally in the treatment and prevention of a range of disorders. It is rich in antioxidants and several bioactive plant compounds. It is used in the treatment of diabetes and cancer. It can also be useful for the patients suffering from high cholesterol. The regular use of Moringa Oleifera has been found to be beneficial in the prevention of Arsenic toxicity. The pods of Moringa Oleifera also contain several vitamins and minerals. They are particularly rich in vitamin C. One cup (approximately 100 grams) of fresh pods of this plant contains about 157% of the daily recommended allowance for vitamin C for humans. Moringa (Shigru) has following healing properties. Moringa Oleifera is commonly used for the treatment of diabetes. It can also be used for the treatment and prevention of cancer. The use of this plant can be beneficial in the management of high cholesterol and arsenic toxicity. Moringa Oleifera is known to possess anti-diabetic properties. It exerts an antihyperglycemic effect and controls blood sugar levels. It can also help to prevent the complications of diabetes such as diabetic neuralgias, diabetic nephropathy, diabetic retinopathy, diabetic foot, and cataracts. How Does Moringa Oleifera Work in Diabetes? Moringa Oleifera helps in the management of type-1 and type-2 diabetes. It works by producing an antihyperglycemic effect. It reduces the blood sugar levels. It also increases the production of insulin in the pancreas. This helps to improve the metabolism of carbohydrates and controls the blood sugar levels within normal limits. This herb also acts as an antioxidant. It protects the tissues in the body such as the nerves, blood vessels, retina, kidneys, and the skin against the damage caused by free radicals. This helps to prevent the complications of diabetes. The antioxidant effect of Moringa Oleifera is particularly beneficial for the patients suffering from type 2 diabetes. It reduces the insulin resistance of the cells and enables them to respond to the hormone in an effective way. 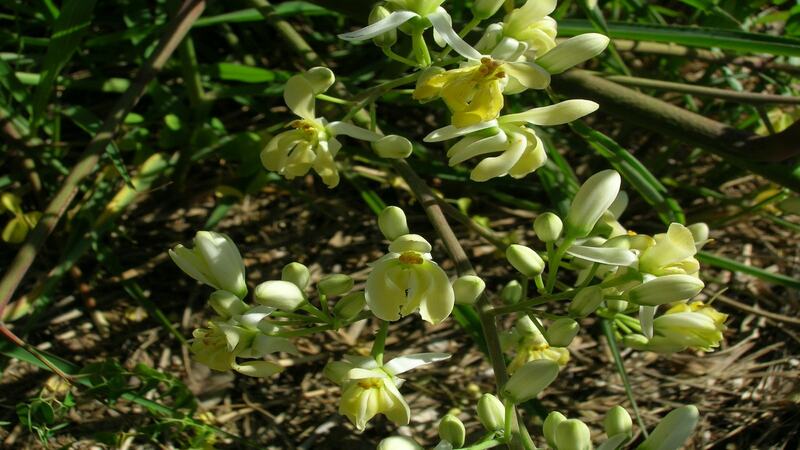 The anti-diabetic activity of Moringa Oleifera was evaluated in research. The research was focused on investigating the anti-diabetic and antioxidant actions of the methanol extracts of the pods of this plant in the streptozotocin-induced diabetic rats. The rats were treated with 150 to 300 mg per kg body weight of this extract for 21 days. The antidiabetic effect was evaluated by measuring the changes in the biochemical parameters of the pancreatic tissue and serum. The study showed an improvement in the parameters of diabetes in the experimental mice. The progression of diabetes was also significantly reduced after the treatment with the Moringa Oleifera extract. A reduction in the nitric oxide and a concomitant rise in the serum insulin levels were also observed. Furthermore, the treatment caused an increase in the antioxidant levels in the pancreatic tissue and a decline in the level of thiobarbituric acid-reactive substance. The role of Moringa Oleifera in the regulation of diabetes-induced oxidative stress was studied during scientific research. The antioxidant effect exerted by the aqueous extract of the young leaves of Moringa Oleifera was evaluated through the in vivo and in-vitro assays. The in vitro study involved the estimation of the total flavonol, total phenolic, total flavonoid, and total antioxidant power. The in vivo study was focused on identifying the most effective doses of the lyophilized powder of this plant in the normal and diabetic rats. The effects of the extract of Moringa Oleifera on the oxidative free radical scavenging enzymes such as superoxide dismutase, catalase, lipid peroxide, and glutathione-S-transferase were also measured. The results of this study showed a significant increase in the activities of the oxidative free radical scavenging enzymes. The assessment of the total phenolic, flavonol, and flavonoid contents of the extract showed encouraging results. Moringa Oleifera can be used in the treatment and prevention of cancer. It acts as a natural anti-carcinogenic agent and prevents the progress of this disease. It has been found to be useful for the patients suffering from the cancer of the breasts, ovaries, prostate, pancreas, and the colon. How Does Moringa Oleifera Work in Cancer? Moringa Oleifera helps to treat cancer by acting as an antioxidant. It protects the healthy cells in the body against the damage caused by free radicals. This prevents the initiation of the cancerous changes in the normal cells. This action of Moringa Oleifera is beneficial for the treatment as well as prevention of cancer. Moringa Oleifera can also help to prevent cancer by inhibiting the mutations in the DNA of the healthy cells. It also stimulates the natural ability of the body to induce apoptosis. This helps in the destruction of the cancer cells and limits the spread and growth of cancer. Moringa Oleifera has the ability to block angiogenesis. As a result, the process of formation of new blood vessels within the tumor mass is inhibited. Due to this, the tumor cells do not receive the supply of oxygen and nutrients needed for their survival resulting in their death. Moringa Oleifera can be used as an adjuvant therapy in the management of cancer. It can be used in combination with the conventional cancer treatments such as chemotherapy and radiation therapy. It helps to improve the results with the conventional treatments and helps in the faster recovery of the patients. The phytochemicals present in this plant produce an anti-neoplastic activity. It produces a selective cytotoxic effect against the cancer cells resulting in their destruction. These properties of Moringa Oleifera help in reducing the tumor size and tumor cell count. Regular use of Moringa Oleifera even after the recovery from cancer is recommended to prevent the relapse of the condition in the future. The anticancer potential of Moringa Oleifera in the management of Breast and Colorectal Cancer was evaluated in research. This study investigated the anti-carcinogenic effects of the leaves, bark, and the seed extracts of Moringa Oleifera. The extracts were tested against the HCT-8 and MDA-MB-231 cancer cell lines. The extracts of the bark and leaves showed significant anti-cancer properties though the effect of the seed extracts was found to be insignificant. The cell survival was significantly lower in both the cell lines treated with the bark and leaf extracts. Additionally, a striking reduction of about 70 to 90% was observed in the colony formation and the cell motility in the HCT-8 and MDA-MB-231 cancer cell lines. The apoptosis assay of the breast and colorectal cancer lines exhibited a remarkable rise in the number of apoptotic cells. Also, the cell cycle distribution assessment showed a G2/M enrichment indicating these extracts could arrest the cell progression at the G2/M phase. Research has proved that the aqueous extract obtained from the leaf of Moringa Oleifera can down-regulate the nuclear factor-kappaB and enhance the cytotoxic effect of chemotherapy in the pancreatic cancer cells. The survival rate of the patients suffering from the adenocarcinoma of the pancreas is very low. Also, chemotherapy, which is the standard conventional mode of treatment for these patients, often becomes less effective as these tumors have a tendency to develop resistance to the therapeutic drugs over time. Hence, a study was conducted to evaluate the effect of an aqueous extract of Moringa Oleifera leaf on the cultured pancreatic cancer cells, COLO 357, Panc-1, and p34. This study was aimed at finding an alternative effective treatment for the patients suffering from the adenocarcinoma of the pancreas. The effect of the extract of Moringa Oleifera alone and in combination with a chemotherapeutic drug, cisplatin, on the survival of the human pancreatic cancer cells was assessed by an XTT-based colorimetric assay. The results of this study indicated that Moringa Oleifera extract could inhibit the growth of the pancreatic cell lines. The extract of Moringa Oleifera can be used to treat hypercholesterolemia. It helps to decrease the cholesterol levels in the blood. It also stimulates the excretion of fatty acids that are harmful to the body. These actions of Moringa Oleifera can help in the prevention of disorders that can occur due to the high level of cholesterol such as myocardial infarction and cerebrovascular stroke. How Does Moringa Oleifera Work in Hypercholesterolemia? Moringa Oleifera reduces the cholesterol levels by regulating the metabolism of fats. It also enhances the fat-burning mechanisms thus ensuring faster utilization of the fats deposited in the body. It boosts the functions of the liver and regulates the processes involved in the transportation of cholesterol between liver and the cells of the body. The anti-lipidemic effect of the fruits of Moringa Oleifera was studied during research. The study was aimed at investigating the anti-hyperlipidemic action of the extract of this plant in the lipid profile of hypercholesterolemic rabbits. The rabbits were administered Moringa Oleifera or Lovastatin for 120 days. The results of this study showed that both Moringa Oleifera, as well as Lovastatin, lowered the levels of serum cholesterol, triglyceride, LDL, VLDL, and phospholipid. The atherogenic index and cholesterol to phospholipid ratio were also found to be lower in the experimental rats. A rise in the HDL level was also noted in the Moringa Oleifera treated rabbits though the levels were found to be lower in the rabbits treated with Lovastatin. Moringa Oleifera can be used for the treatment of arsenic toxicity. Arsenic toxicity may occur due to the consumption of the contaminated food and water. The amount of arsenic may also be higher in rice. Although the symptoms of arsenic toxicity do not appear immediately after the consumption of the contaminated food or water, the long-term exposure can lead to several health problems over a period of time. It can also increase the risk of cancer and heart diseases. Moringa Oleifera has been found to offer protection against the effect of Arsenic toxicity. The leaves and seeds of this plant can neutralize the effect of Arsenic and prevent the long-term complications that may occur due to the prolonged exposure to this element. How Does Moringa Oleifera Work in Arsenic Toxicity? Moringa Oleifera can help to reduce the symptoms of Arsenic toxicity by producing an antioxidant effect. It protects the liver against the damage caused by the exposure to Arsenic and prevents oxidative damage to the healthy tissues. The protective effect of the leaves of Moringa Oleifera against the Arsenic toxicity in the experimental mice was investigated during research. The serum indices of the cardiac, renal, and liver functions were analyzed to assess the anti-toxic effect of Moringa Oleifera in the mice. The results of this study revealed that the supplementation with Moringa Oleifera could abrogate the arsenic-induced elevation in the levels of triglyceride, urea, and glucose. It also prevented the abnormalities associated with the activities of aspartate aminotransferase, alkaline phosphatase, and alanine aminotransferase in the serum. It was found to inhibit the perturbation of the total cholesterol, serum butyrylcholinesterase, and high-density lipoprotein cholesterol. Main vitamin contents of moringa oleifera are vitamin B-1, vitamin B-2, vitamin B-3, vitamin B-6, vitamin B-7, vitamin C, vitamin D, vitamin E and vitamin K. Vitamin A is essential for the retina of the eye and color vision. It is also responsible for the growth hormones of the epithelial cells. Vitamin B-1 helps in converting the sugar into energy. Hence, it is important in terms maintaining cholesterol level in the blood. The main function of the vitamin B is metabolism. It metabolizes fats, amino acids, fatty acids, carbohydrate, and protein. Vitamin B-3 is related with the synthesis of stress hormones. Vitamin B-6 is involved in the synthesis of neurotransmitter. Vitamin B-7 is very important in eradicating Parkinson’s diseases. Vitamin is one of those constituents, which are essential for the body. It helps in making immune system strong, maintaining skin and eyes. Vitamin D is essential for calcium absorption in the body. Calcium helps in strengthening bones and teeth. Vitamin E is essential for the oxidizing fatty acids in the blood. Vitamin K is essential for proper functioning of the liver and proper clotting of the blood. Deficiency of it will lead to continuous bleeding and liver failure that will poison the body with toxic chemicals. Moringa oleifera is high on protein content. It contains around 9.8 grams of protein in 100 grams. Protein and amino acids are two main building block of the body. Hence, anyone looking for muscle gain moringa oleifera is the best thing to have in the diet. There are not many green leafy vegetables, which have such high protein content. This could make up around 18 percent of the daily requirement of protein. Leaves of it can be powdered and stored. They are powdered form is very good in amino acids. Another constituent of moringa oleifera is oleic acid. It is mainly found in its leaves and seeds. It is kind of monounsaturated fat. Seeds can also be used to produce seed in those areas, which is dry like Africa and Asia. According to studies, oleic acid is helpful in treating the patients with underdeveloped lungs. Oleic acid is essential for the newborn babies. It has known to have a reducing effect on blood pressure and cholesterol level. Fresh pods and leaves of moringa oleifera have heavy vitamin A content. 100 grams leave can fulfill the daily requirement in one go. Vitamin A is one of those antioxidants that are fat-soluble. This vitamin A lines the colon membrane with mucus, which helps in smooth flow of food during digestion. In addition, externally it helps in maintaining skin, vision, and immunity. Another vitamin that is found in moringa oleifera is Vitamin C. 145 micro Gram of Vitamin C is found in 100 grams. In green leaves, there are 51.7 micrograms is present in every 100 grams. It is said to have a reducing effect on a common cold, though not proven. Consumption of Vitamin c will help in improving immunity against various diseases. It also fights against the harmful oxygen free agents in the body. It also contains essential B- complex vitamins such as folates, niacin, pyridoxine, thiamin, riboflavin, pantothenic acid etc. Almost all of these are involved in the metabolism of different components. Thiamine produces energy from carbohydrates and involved in RNA and DNA formation. Riboflavin catabolizes fatty acids. Niacin oversees reactions which, involve metabolism of fats, glucose, and alcohol. These all are like coenzymes, which help in different reactions. It is a very good source of fine minerals required for the body. It contains calcium, which is important for bones and teeth. It contains iron which eliminates anemia. Moringa oleifera is very good for those patients who has anemia. It contains zinc, which is essential for hair growth, spermatogenesis, and skin maintenance. It contains arginine, which produces growth hormones, which repairs the damaged tissues. It makes immune system strong against bacteria, viruses and cancer cells. It also has Aspartic acid, which helps in the excretory process. It produces ammonia from the waste created by cells. It contains Cystine, which is powerful against radiation and pollution causing diseases. It contains Glycine, which produces oxygen required for cell formation, and forms hormones required for the immune system. Glutamic acid is helpful for the brain. It improves mental ability and healing process becomes faster. Tyrosine helps in transmitting impulses in the nervous system, which improves memory, mental ability, and alertness. Generally, Moringa oleifera is likely safe when used under professional supervision. It contains spirochin, which is a dangerous nerve paralyzing toxin. It is mainly found in its root. If eaten in large quantities it may cause loose motion, upset stomach, and other gastronomic issues. Pregnant women are not advised to use any product of moringa oleifera because it might lead to miscarriage. It has seen in pregnant women that by consuming it, the uterus is contracted. Moringa oleifera provides every nutrient required in the human body. It provides 92 kinds of nutrients, which is hard to find another food source. As mentioned above it helps in curing 300 diseases, so it is not a bad vegetable to have in the garden. The Proper amount of regular consumption of it has an only positive effect on human body. Someone looking for a great diet to have with gym routine must have moringa oleifera fruit on top of his list. I have used this plant in debility and observed a great strength in my body after 15 days of use. Is Shigru is same as Moringa. What Dosha does it pacifies. Will it aggravate Pitta and chronic Gastritis? Should take after food I see lot in capsules form / leaves powder. Is Shigru same as Moringa? Shigru and Moringa, both are same things. Shigru is actually Moringa Oleifera. The commonly available variety of Moringa is Moringa Pterygosperma. All varieties have similar health benefits. What Dosha does it pacifies? Will it aggravate Pitta and chronic Gastritis? Moringa (Shigru) is likely to aggravate PITTA and may not be suitable for people with gastritis. Should we take Moringa after food? The perfect time to take Moringa (Shigru) is after food. Yes, it contains Iodine, but the quantity of Iodine in capsule dosage of Moringa is insignificant. Iodine content is found mainly in Moringa seed oil. Is it good for Hashimoto Hypothyroid (Hashimoto’s Thyroiditis)? Moringa (Shigru) acts as immunomodulator, which is likely to correct immune system functions. Hashimoto’s Disease (Chronic Lymphocytic Thyroiditis) is caused by own immune system attack. Secondly, Moringa (Shigru) also stimulates thyroid functions, so it is beneficial in underactive thyroid gland (hypothyroidism). 1. How much Moringa leaves are suitable to take without causing any irritation to gastric. 2. It is not a Pitta disease, but hypothyroidism is KAPHA-VATA. So, with all that if you treat one and then other can mess up. 3. Can Moringa be taken along with Kanchnar Guggulu, Gotu kola, Sarivadi Vata, ashwagandha? 4. Kanchnar Guggulu is good fit for Hashimoto. Can it be taken for years? 5. Moringa seed oil issued for topical use, can we use it internally? 6. Dr. Singh you mentioned “Hashimoto’s Disease (Chronic Lymphocytic Thyroiditis) is caused by own immune system attack. What do you recommend for Chronic Lymphocytic Thyroiditis? Is anything in Ayurvedic to cure this permanently? 1. 500 mg powder of Moringa leaves along with Giloy Satva (500 mg) can be used and it will not cause gastritis. 2. Both types of medicines are required to fight with Tridosha condition. In such cases, treatment with strong/potent medicines should be given for dominant Dosha and treatment with light potency herbs should be given for secondary or associated Dosha. It requires ANSHANSH KALPANA, ayurvedic principles to diagnose Dosha dominance and selecting medicines accordingly. 3. Yes, Moringa can be used along with Kanchnar Guggulu, Gotu kola, Sarivadi Vata, ashwagandha in VATA or KAPHA condition. 4. Kanchnar Guggulu can be taken for years without any problem. 5. I am not sure for this. 6. For Hashimoto Disease, Vasant Malti Ras (Gold), Yashad Bhasma, Tulsi, Laung (cloves), Giloy Satva, original Vanshlochan, Sitopaladi Churna, etc. are beneficial. Ayurveda also suggest treating according to individual Dosha dominance in addition to these. Can take Moringa 500mg, Kanchnar, Gotu kola, Ashwagandha, Sarivadi together BUT right after food? Yes, all can be taken right after food. It’s hot , pungent in nature and increases PITTA, then how is it an anti-inflammatory herb? It does not matter. Guggul is hot, pungent, but still it is anti-inflammatory. The same condition is with many herbs. Vata and Kapha Dosha also involve in inflammation like Pitta. If you have Pitta condition, then you need to choose some herbs, which are anti-inflammatory as well as pacifies Pitta. Can Moringa be taken in the treatment of psoriasis? If yes, what else have to be taken with Moringa to complete relief from psoriasis? Moringa helps to improve skin health and provides good nutrition. It has anti-inflammatory, demulcent, antioxidant and soothing characteristics, which help to reduce psoriatic inflammation, itching and patches. But, we cannot use word “CURE” for its beneficial actions. It may help to delay recurrent episodes of psoriasis or reduce the severity of psoriasis, if taken regularly. Does high doses Moringa elevate blood pressure in pitta dosha? Sir I am Suffering from Diabeties since 4 years, my age is 36 years, is Moringa oleifera leave are helpful for dibeties how many leave i have taken. morning or evening Empty Stomach or after Food please give me Suggestion.